When it comes to nutrient dense superfoods beets are one of the superstars. Just cut open a raw beet, and you can see the dark beet red color oozing out. Pure beet juice purifies, oxygenates and energizes the body. Beets contain numerous potent phytonutrients such as betanin, vulgaxanthin, lutein zeaxanthin and carotenoids. Some of the antioxidants contained in beets are in higher concentrations compared to many other vegetables. Beets are excellent for providing antioxidant, anti-inflammatory and detoxification support to the body. Part of what sets beets apart from other vegetables is the broad range of impact they have on the body's health. Beetroot has unique epoxyxanthophyll carotenoids which when working in conjunction with the broad spectrum of phytonutrients were found to be particularly beneficial to the body's nervous system. Beets also contain valuable minerals, vitamins and amino acids such as folate, potassium, manganese, vitamin C, magnesium, tryptophan, iron, copper, and phosphorus. The biggest reason for consuming beet juice is the impact it has on the body's nitric oxide levels. Recent scientific research has made the connection between dietary nitrates and lower rates of cardiovascular disease. 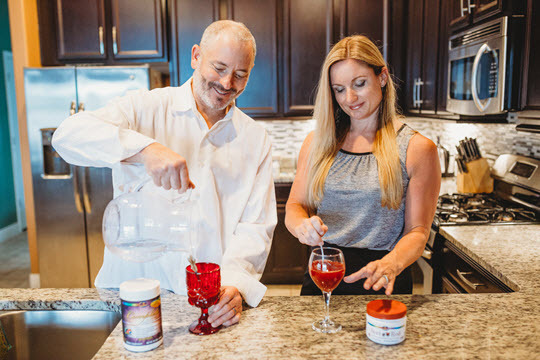 Dietary nitrate has been demonstrated to have a range of beneficial vascular effects, including enhancing exercise performance in healthy individuals and patients with peripheral arterial disease. The best way to increase the body's nitric oxide levels is to consume more foods that contain dietary nitrates. Not surprisingly, beets have been shown to be one of the best sources of dietary nitrates. This is why cardiovascular doctors and medical agencies are beginning to examine beets and fund studies into how they can assist the body in lowering heart disease. One of the most effective ways to obtain maximum nutrient density from your vegetables is to juice them. The concentrated amount is many times the strength you would get from just eating a raw beet or vegetable. 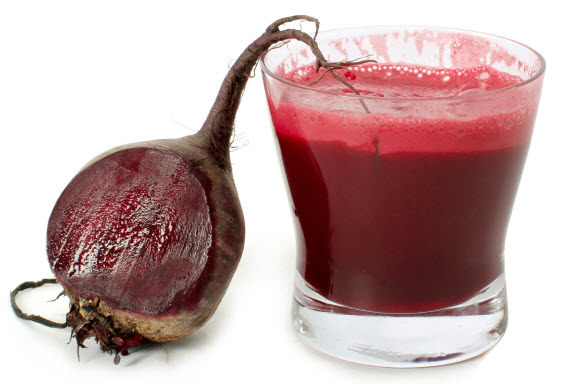 However, if you have ever done any juicing you know that beets are very difficult to juice. They are time consuming to prepare and cut and they are extremely messy. That's where nutritional science has been able to excel. Instead of doing all the hard work we've made it simple for anyone to consume beets every day. 7 Lights is proud to offer BEET RED, a concentrated beetroot juice powder that allows you to easily obtain and experience the benefits that beets have to offer. We use only the finest beetroots available, and with our special low-temperature processing, virtually nothing is lost in the conversion from fresh beets to powder. BEET RED mixes instantly and is obtained from all certified non-GMO beets.